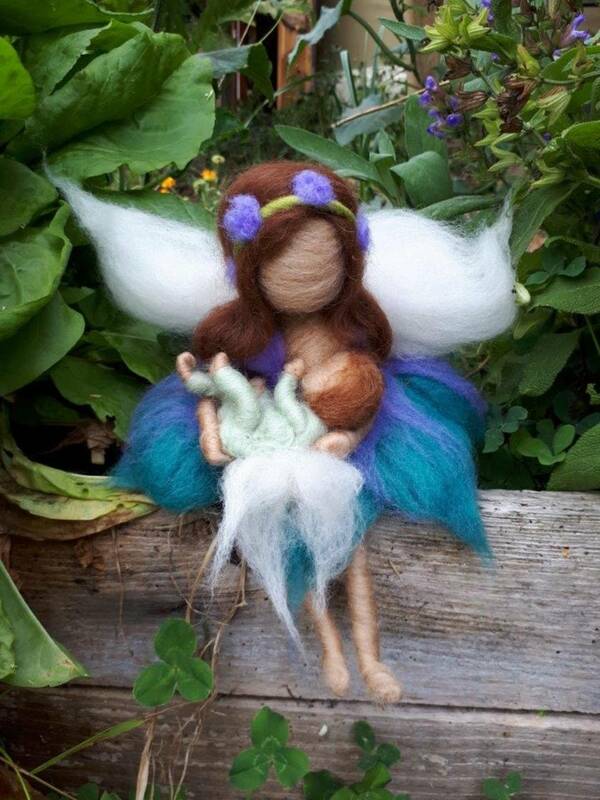 This precious wee Fairy is such a darling! 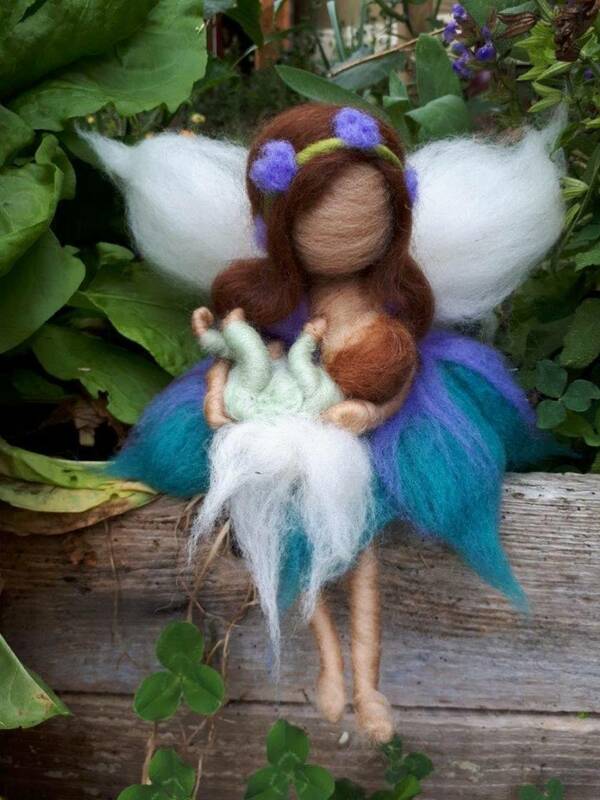 She holds her wee baby in her arms and gently feeds her or him. She is dressed in turquoise and blues with soft brown hair. 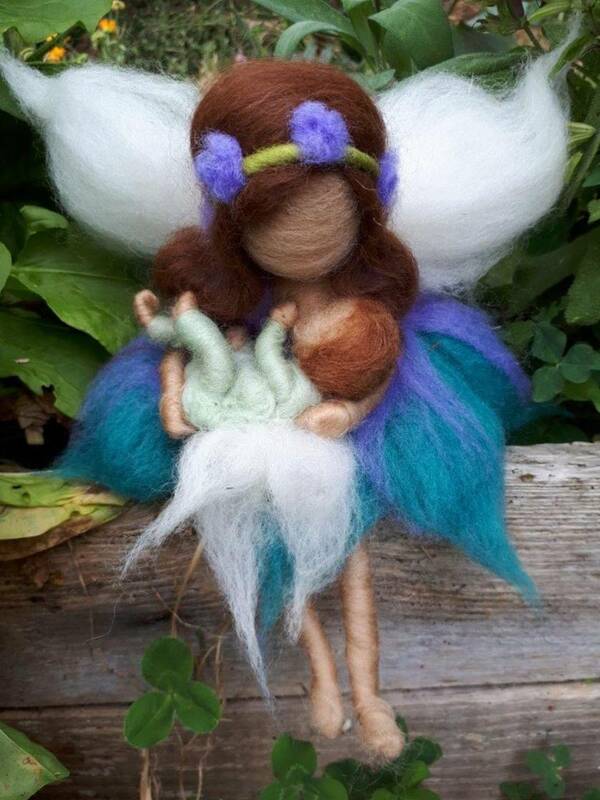 They are a perfect gift for someone with a new baby, and especially someone who is pro-breastfeeding like me!